"Our mission is to surprise people in a good way"
Nintendo says that taking people by surprise with new products is the key to success in the games industry. Nintendo president Satoru Iwata says the company will continue to innovate, and will not take its current strong position for granted. 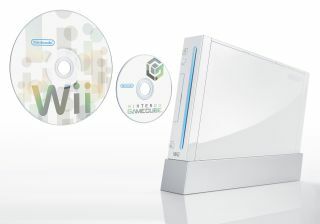 "Our mission is to surprise people in a good way, and this became very clear as we made Nintendo DS and Wii. You can't open up a new market of customers if you don't surprise them," he said in an interview on a Japanese blog. "Even if we make great products, if the number of new customers doesn't increase, it won't reach people. That was clear to us, so doing the easy was not an option." Iwata says that if you stop surprising people and start taking the easy route, "you disengage yourself with the pursuit of true entertainment" and become a less attractive purchase for prospective gamers. Read more over at our sister site CVG.